With an undeniable ear for a pop hook and high energy performances, WATERS (a new project from Port O’Brien’s Van Pierszalowski) is poised to be one of the West Coast’s big break out bands this year. The first single “Got to My Head” is already a KCRW favorite and we’re thrilled to announce the band will be kicking off the public radio station’s Summer Nights series with a performance at One Colorado in Old Pasadena on Saturday, June 7. The evening begins at 7:30pm with a DJ set from Dan Wilcox. One Colorado spans a city block in Old Pasadena, between Colorado Boulevard, Union, Delacey and Fair Oaks. Make Music Pasadena (presented by KCRW) will be taking place down the street, so early arrival is encouraged! KCRW returns to One Colorado on June 21 with a performance from orchestral pop outfit Kan Wakan and DJ Marion Hodges on the decks. KCRW was an early supporter of Kan Wakan – so early, they went by a different name at the time – and we’re thrilled to present their lush, artfully created, noir-kissed sound. Their full-length debut, “Moving On”, comes out on Verve on June 3. Summer Nights returns for a fifth year, with more than 30 free, outdoor, all ages concerts that are open to the public. Find the full lineup of shows here. Public radio station KCRW returns as the media partner for the Twilight Concert Series at the Santa Monica Pier this summer and is pleased to announce an incredible lineup of musical guests, from Cults, Cayucas and Charles Bradley to Jagwar Ma, Omar Souleyman,Yuna and many more. The concerts are part of KCRW’s free, all ages Summer Nights series and the station’s DJs will serve as hosts for each of the evenings. The Twilight Concert Series is now in its 30th year and better than ever. The shows start on July 10 and take place every Thursday until September 11, with all shows starting at 7pm. See the full Summer Nights lineup here. RH&S Concerts is a joint venture between independent Los Angeles-based concert promotion firms Rum & Humble and Spaceland Presents, both of whom have played a key role in bringing a wide variety of cutting edge and heritage talent to venues throughout the Los Angeles area. 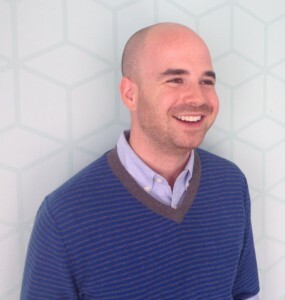 LOS ANGELES, CA (May 20, 2014) — KCRW announced today it has hired Micah Greenberg to serve as Director of Business Development, where he will oversee the strategy and implementation of expanding KCRW’s audience and revenue streams across partnerships, underwriting, membership, and event sponsorship. In addition, Greenberg will work with KCRW President Jennifer Ferro—as well as the programming, marketing, and underwriting teams—to explore new areas of growth, as the station continues to increase its revenue, reach and impact. “It is our great pleasure to welcome Micah Greenberg to the senior leadership team. His extensive experience in public media will be invaluable as we continue to diversify KCRW’s offerings and grow our audience in this rapidly changing media landscape,” said Jennifer Ferro, KCRW General Manager and KCRW Foundation President. Greenberg served as Director of Marketing for National Public Media, the sponsorship sales team for NPR and PBS. Prior to this role, Greenberg headed up marketing for NPR Sponsorship, the network’s then in-house team, before National Public Media was created in 2007. In his eight-year tenure with National Public Media and NPR, Greenberg developed his role and department from scratch, and oversaw sales strategy, brand management and business development. 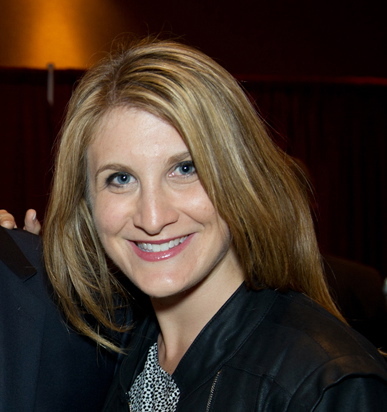 Greenberg also served as Associate Director of Marketing for Atlantic Media, the parent company of The Atlantic, National Journal, and Government Executive. Greenberg holds a Bachelors degree in media studies from Brown University. To learn more, visit kcrw.com/about. KCRW Announces Lineup for the 5th Season of Summer Nights! The public radio station’s signature outdoor event series has already brought over 100 shows to all ages audiences across the city. LOS ANGELES, CA (May 19, 2014) — KCRW is celebrating the 5th anniversary of its free, all ages, outdoor concert series, Summer Nights, starting June 7 at One Colorado in Old Pasadena with classically-trained electro pop musician Lo-Fang, an LA artist whose been getting national attention since Lorde hand-selected him to open her first US headlining tour. Once again, KCRW is partnering with a number of distinguished cultural organizations we love – The Hammer Museum, The Annenberg Space for Photography, and Grand Performances – and reaching neighborhoods across Southern California, including Pasadena, Chinatown, and Santa Monica. The station’s signature series has reached hundreds of thousands of music fans over the years and given KCRW DJs a chance to bring their eclectic musical tastes out of our basement studios and into the community. “We’re committed to serving the community throughout the year with exciting music programs that are open to the public. Summer Nights continues to be a way to thank our listeners for their support. See you there,” said Music Director Jason Bentley. We kick off the series with two courtyard concerts amidst the historic buildings of One Colorado in Old Pasadena. DJ Dan Wilcox will spin a set of tunes and host Lo-Fang on Saturday, June 7 during Make Music Pasadena, while DJ Marion Hodges welcomes the cinematic orchestral pop sounds of Kan Wakan on Saturday, June 21. Both evenings begin at 7:30pm. We bring the party straight to the center of Chinatown for three Saturdays (June 14, July 12, August 9), with KCRW DJs like Raul Campos, Anthony Valadez, Jason Bentley and Travis Holcombe rockin’ the dancefloor for thousands of revelers underneath showers of confetti. It’s a true celebration of one of LA’s most unique neighborhoods. We join Grand Performances for nine events in one of the city’s most breathtaking outdoor venues, California Plaza, in the heart of Downtown LA, featuring Angelique Kidjo, Yuna, Carmen Rizzo, DJ Numark & Mark de Clive-Lowe, and more. We team up with the Hammer Museum for the “Made in L.A.” music series, with a focus on some of LA’s most enduring club nights, residences and music scenes, from the House sounds of DEEP (with guests Marques Wyatt and Doc Martin) to the multi-cultural celebration of Afro Funke and local label Community Records, with special guest Alex Ebert. KCRW shines a spotlight on these corners of the LA music community for four Thursdays with live band performances and DJ sets in the Hammer courtyard. Last but not least – and closest to our home base – KCRW will present the Twilight Concert Series at the Santa Monica Pier, with shows every Thursday from July 10 to September 11. Talent announcement coming soon. See the full lineup of shows, as well as additional details, online here. KCRW, a community service of Santa Monica College, is one of the nation’s leading National Public Radio (NPR) affiliates, also featuring an eclectic mix of originally-produced and nationally-distributed news, music, talk and arts programming. The terrestrial signal serves Los Angeles, Orange, and Ventura counties, as well as parts of San Diego, San Bernardino, Kern, and Santa Barbara counties and the greater Palm Springs area.KCRW’s programming is available worldwide, both live and on-demand, at KCRW.com, and through its smartphone apps(iPhone, Android, and Blackberry). 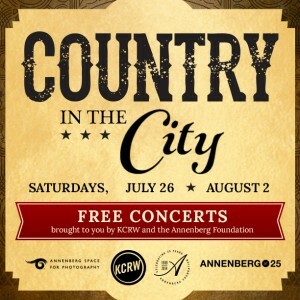 LOS ANGELES, CA (May 13, 2014) —KCRW returns to Century Park in Century City this summer for FREE all-ages outdoor concerts inspired by the Annenberg Space for Photography’s newest exhibit, Country: Portraits of an American Sound. On the grassy lawn beneath the two shimmering Century Plaza towers designed by Minoru Yamasaki, take in a vista of architectural delight and some incredible live music this summer. Talent will be announced soon. In the meantime, mark your calendars for July 26 and August 2. RSVP will be required. Details to follow once talent is announced. Find out more here. The Photography Space will stay open late on these evenings so that the public may enjoy both the concerts and the exhibit, which features images of the pioneers, poets and icons of country music. 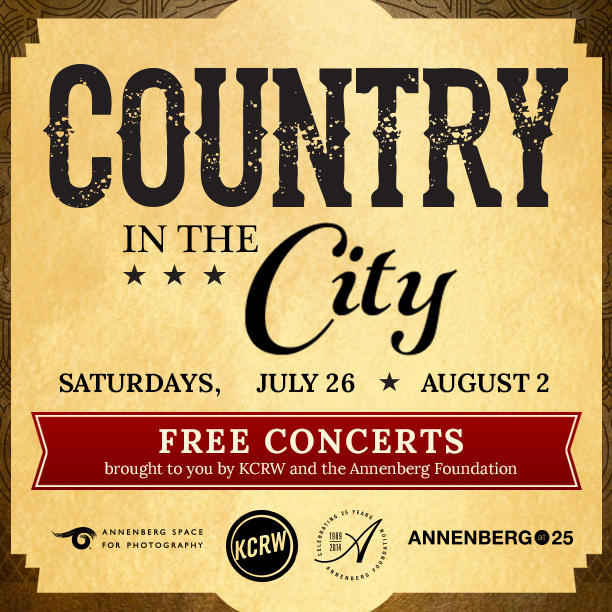 To celebrate its 25th anniversary, the Annenberg Foundation has planned community events throughout 2014, including Country in the City. KCRW and the Annenberg Foundation first united in 2012 for a string of hugely successful summer music events staged in the outdoor park adjacent to the Photography Space in 2012. The packed shows proved the outdoor park was a unique and exciting weekend destination for live music and we’re thrilled to bring back more of our favorite artists for another round! View photos from the shows in 2012 here to see what you can look forward to. KCRW, a community service of Santa Monica College, is one of the nation’s leading National Public Radio (NPR) affiliates, also featuring an eclectic mix of originally-produced and nationally-distributed news, music, talk and arts programming. The terrestrial signal serves Los Angeles, Orange, and Ventura counties, as well as parts of San Diego, San Bernardino, Kern, and Santa Barbara counties and the greater Palm Springs area. KCRW’s programming is available worldwide, both live and on-demand, at KCRW.com, and through its smartphone apps(iPhone, Android, and Blackberry). 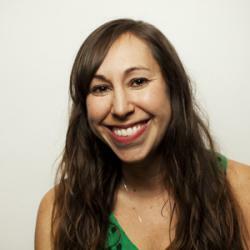 LOS ANGELES, CA (May 6, 2014) — KCRW Foundation announced today it has brought aboard Jill Smayo to serve as Development Director. Smayo will oversee efforts to expand KCRW’s 50,000-donor base and $15 million annual operating budget, while leading and growing the development team. Smayo joins KCRW in the midst of the station’s first major capital campaign in its 75-year history to raise $48 million for the construction of a new facility, and new programming and technology investments. Alongside KCRW Foundation President Jennifer Ferro, Smayo will lead the capital campaign as KCRW positions for a period of substantial growth. “We are excited to bring Jill Smayo aboard. This is a very important time in KCRW’s history — with Jill’s proven track record and tenacious attitude, she will be a valuable addition to the leadership team,” said Jennifer Ferro, KCRW General Manager and KCRW Foundation President. Smayo brings more than 13 years of development experience, most recently as Director of Development for Invisible Children where she created a Major Gifts Program and built a development department from the ground up. Prior to Invisible Children, Smayo served in various roles for the San Diego Opera, La Jolla Playhouse, New York Weill Cornell Medical Center, and Memorial Sloan-Kettering Cancer Center. Smayo earned a Bachelors of Science degree from Northwestern University.